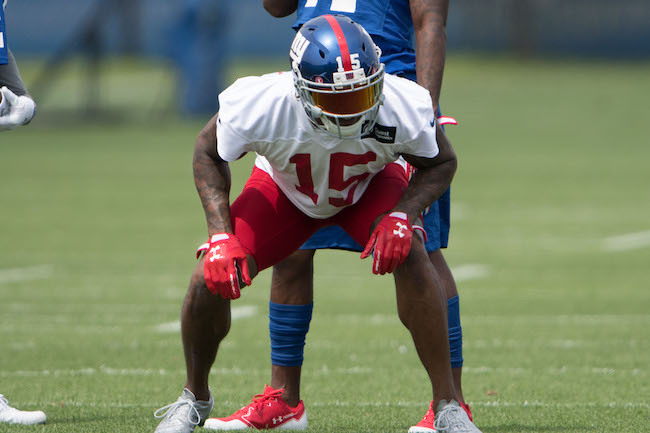 The New York Giants held their fourteenth and final summer training camp practice of the year on Tuesday at Quest Diagnostics Training Center in East Rutherford, New Jersey. The New York Giants placed defensive tackle Corbin Bryant on Injured Reserve. Bryant injured his elbow during Monday’s training camp practice. To replace Bryant’s roster spot, the Giants signed defensive tackle Bobby Richardson. 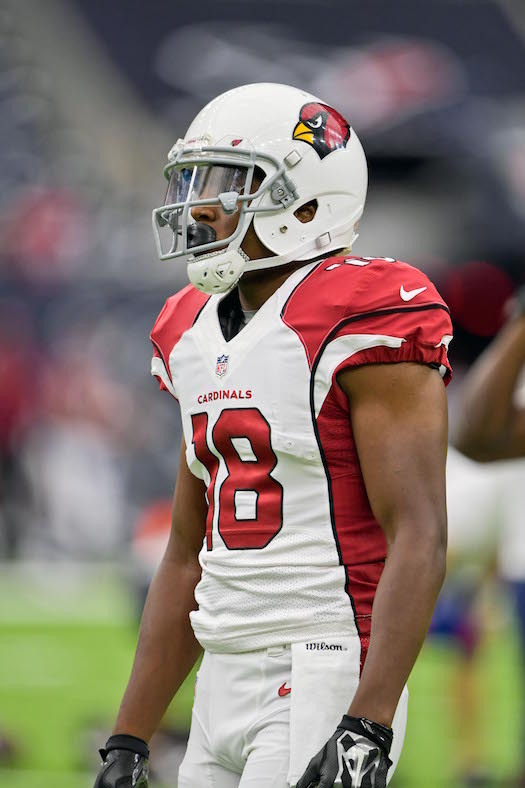 Richardson was originally signed as an undrafted rookie free agent by the New Orleans Saints after the 2015 NFL Draft. He has spent time with the Saints (2015-2016), Washington Redskins (2016), Kansas City Chiefs (2016), and Denver Broncos (2017). The Broncos cut Richardson in May. He has played in 15 games with 11 starts – all during his rookie season with the Saints – and has 40 career tackles and 0.5 sacks. Richardson is a bit of a DE/DT ‘tweener, lacking size at 6’3”, 286 pounds. Bobby Richardson, who played in 15 games with 11 starts as a rookie free agent for the 2015 New Orleans Saints. He was credited with 40 tackles (20 solo), a half-sack and had one interception. In 2016, Richards did stints on the practice squads of the Saints, Washington Redskins and Kansas City Chiefs. He was with the Denver Broncos from Feb. 24 to May 3 of this year. The Giants also signed linebacker Steven Daniels on Tuesday. The 24-year old Daniels was originally drafted by the Washington Redskins in the 7th round of the 2016 NFL Draft. He missed his entire rookie season with a torn labrum. The Redskins waived him in May 2017. He was then claimed by the Philadelphia Eagles who waived him in August. Daniels is a short (5’11”) linebacker with good bulk (245 pounds). Daniels lacks ideal overall athleticism, but he is a good, aggressive run defender who will hit you. He is not as strong in coverage. Running back Shaun Draughn (ankle) and linebacker J.T. Thomas (knee) were activated from the the Physically-Unable-to-Perform (PUP) List on Tuesday. Both participated in some drills but were limited. Wide receiver Darius Powe (hamstring), wide receiver Kevin Snead (lower body), offensive lineman Adam Gettis (scratched eye), linebacker Mark Herzlich (stinger), safety Landon Collins (illness), safety Duke Ihenacho (hamstring), and safety Ryan Murphy (lower body) did not practice. Wide receiver Tavarres King (ankle), defensive tackle Robert Thomas (soreness), and linebacker Devon Kennard (unknown) were limited. Linebacker B.J. Goodson left practice early with a sore back. Last day of camp for Gidie and I. Cloudy, comfortable temperature with some rain towards the end of practice. Good to see RB Shaun Draughn out there today. He didn’t get involved in the team/full speed drills but he caught some balls and showed his burst up field. I wouldn’t expect to see him on the field in Cleveland Monday night. Also good to see WR Tavarres King participating in the group drills. He, too, stayed out of live action. 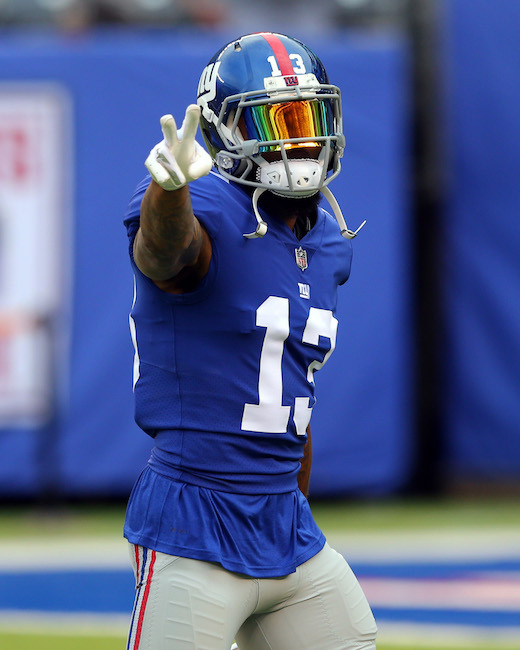 I’ve grown to appreciate having him as the #4/5 WR on this team, as some of the other guys struggled to separate over the past week. King brings some confidence and security to the position behind the top 3 guys. We got to watch WR vs. CB drills near the end zone. Offense had the ball on the 5-yard line and the CB was left on an island, no help in any direction. A tough task to say the least. CB Eli Apple had a physical defense of WR Keeon Johnson, a physical guy in his own right, on an inside slant. WR Brandon Marshall toyed with CB Valentino Blake a couple times, something I have gotten used to seeing. Good to see WR Odell Beckham and CB Janoris Jenkins go head-to-head a couple times. They split. Those two are at the top of their games already. CB Donte Deayon got beat every time from what I saw; his lack of physical presence in that spot shows up. The first play of 7-on-7 with half the line going live offered the play of the day. QB Eli Manning threw a lob-ish type pass to WR Brandon Marshall. CB Eli Apple was all over him but Marshall fended him off and trapped the ball against his body with one arm while on the move. Even more impressive ball by Eli. TE Evan Engram beat…DT Jay Bromley….for a nice TD catch where he showed top tier footwork in the back of the end zone. The gap between John Jerry’s pass blocking and run blocking has been discussed, and it is definitely credible. He handled the bull-rush of DT Jay Bromley with ease all day, but doesn’t get the movement off the line as a run blocker. The Jarron Jones experiment at OT has not be a pleasant one to watch. Again, a very difficult move to make. However Jones has been getting beat all day every day by anyone that lines up across from him. The running game is very hard to gauge right now. My initial thought is RB Paul Perkins has had zero room to run anywhere. The inside lanes are non-existent and he just seems lost. He can’t find any creases to sneak through and it may be because they don’t exist. DE Avery Moss seems to be getting more and more comfortable out there. I don’t expect him to be active on game days unless injuries arise, however it is easy to see why this team liked him. He has a frame that is going to easily handle 15-20 more pounds. He made a freakishly-athletic pass deflection when dropping in to coverage against QB Davis Webb. This is a repeat statement, but CB Janoris Jenkins out-physicaled WR Brandon Marshall a couple times. And he moved well with WR Odell Beckham on slant routes. He can do it all. CB Dominique Rodgers-Cromartie is like an extra coach out there. He takes the young guys under his wings after they make mistakes as much as anyone. You can tell they are limiting him in practice, as he is showing signs of being fragile. But he is a crucial part of this defense. The new linebacker, Steven Daniels, earned a draftable grade from me in 2016. I like those 3-4 thumpers. He saw time on specials today but nothing on live defense. S Darian Thompson looks like he is in the right place usually, a good start. He failed to intercept a pass that Manning basically threw right to him. Still very unsure about him. As I have said before, I think the top 4 CBs on this defense are better than any top 4 in the NFL, and I am very confident in that statement. What they have after that, however, is pretty much what we see around the league. An underachieving veteran (Valentino Blake) and young guys trying to stick despite glaring weaknesses that starting WRs will eat up (Donte Deayon, DaShaun Amos, Nigel Tribune). If you had to take 2 of those on the 53-man roster, I am going Amos and Tribune. S Landon Collins had an illness, thus did not practice. Good for Nat Berhe and Eric Pinkins to get a few more snaps. Pinkins was late to the sideline because, as we have said, he struggles to quickly read and react. He takes too many steps to change direction and get going. LB Calvin Munson: Coincidentally Munson got some snaps with the first string today with B.J. Goodson getting nicked up (which didn’t look too serious). He broke through the line twice for quick TFL’s. Not good for the OL but very good for Munson, whom is getting more comfortable with the playbook. He is going to make this team. WR Sterling Shepard: He was all out today, fully involved with the offense. Good for him and this passing game, as the options are plentiful. Shepard is a guy that can really do well in the short passing game, which we are going to see a lot of. OG Justin Pugh: All the negative talk about the OL, we can’t overlook Pugh. He is a very consistent, reliable guy inside that does the little things right. I put the eyeball on him as he single teamed DT Damon Harrison a couple times. Stayed low with knee bend, chopping his feet and knees, and constantly adjusting his hands to keep them inside. I am very curious to see how they handle his upcoming contract situation. All, thanks for the feedback on the reports….I appreciate the criticisms more than anything. We will see where all of this goes, but I hope you enjoyed the camp reports. In 1-on-1 drills, WR Odell Beckham, Jr. beat CB Janoris Jenkins for a touchdown. WR Sterling Shepard beat CB Donte Deayon for a touchdown. PK Mike Nugent was 4-for-4 on field goal attempts with a long of 47 yards. WR Brandon Marshall made a one-handed catch against CB Eli Apple on a fade route for a touchdown. With Landon Collins (illness) out, Andrew Adams started in his place. When B.J. Goodson left practice, Calvin Munson replaced him as starting middle linebacker. Once again, with Devon Kennard limited, Curtis Grant started in his place at outside linebacker. LB Chris Casher came free on a blitz on what would have been a sack of QB Geno Smith. QB Geno Smith fumbled the ball for what would have been a safety. He was immediately replaced by QB Josh Johnson. When Smith came back into the line-up, he fumbled an exchange with RB Wayne Gallman and was pulled again. Both Smith and Gallman were forced to run a lap. WR Jerome Lane was very active catching the ball in practice. The transcript of Ben McAdoo’s press conference on Tuesday is available in The Corner Forum. Summer training camp is officially over. The players are off on Wednesday before returning to practice on Thursday.